Loan Approval Letter or Verification of Funds if cash offer, Agent Checklist, Seller Disclosure, Lead Base Paint, and Termite Report with all offers. Do not send any offers without all of the above. 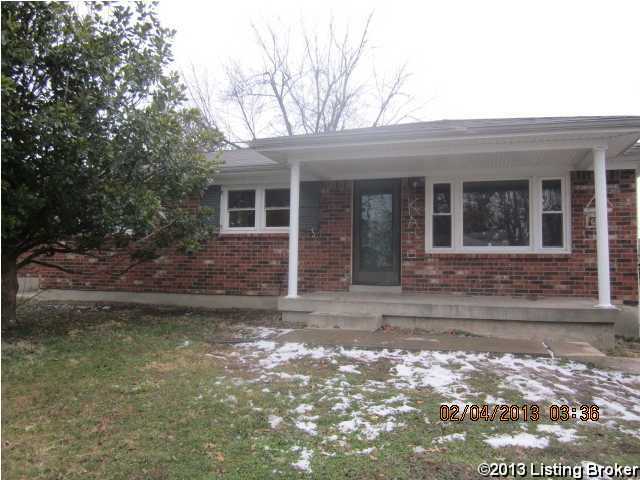 This property is eligible under the Freddie Mac First Look Initiative through 2/27/2013. Offers only from Owner Occupants, Neighborhood Stabilization Program Grantees and non-profits engaged in community stabilization efforts will be considered the 1st 15 days of the listing. Investor offers will be considered on the 16th day of the listing which will be 2/28/2013. Treasure Island is a subdivision within the city of Louisville, Kentucky. There are currently 0 Homes for Sale within Treasure Island, with asking prices ranging from $0 to $0. The average list price per square foot of the available inventory in Treasure Island is $0, which is the Louisville average of $155. The Average Sales price of all sold real estate in this subdivision for the past year is $135,325. Recent comparable homes have been selling for 99.04% of their asking price. Waterfront homes represent of the available Treasure Island inventory. The population of Louisville, according to the 2010 Census, is 597,337. The total number of households in the zip code of Treasure Island is 13,753, with an average household size for of 2.68 people. The total number of renter households within the zip code of 40229 is 3,153, which means that 77.07% of households in this zipcode are owner occupant households. 4106 Carbine Ln, Louisville KY 40229 is a Home, with 3 bedrooms which is recently sold, it has 1,636 sqft, < 1/4 ACRE sized lot, and Driveway parking. A comparable Other, has bedrooms and 0 baths, it was built in and is located at and for sale by its owner at $ 0. This home is located in the city of , in zip code , this County Other, it is in the Subdivision, and HERITAGE CREEK are nearby neighborhoods.